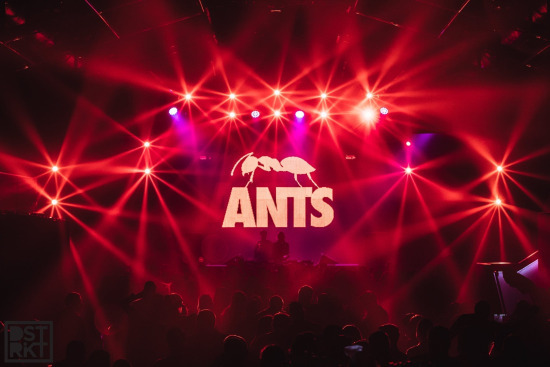 The ANTS colony are set to swarm over Vienna’s 1,600 capacity ‘Horst’ club in March, bringing the finest electronic talent to Austria for what promises to prove a spectacular evening. With Andrea Oliva headlining proceedings, the Ibiza mega-brand’s fellow resident, Chilean Francisco Allendes, is also on hand to bless Vienna with his floorfilling beats.With ANTS also set to descend on various locations this spring, including Miami for MMW, and Amsterdam and Rotterdam during the Kingsday celebrations, the colony have also recently announced their return to Playa d’en Bossa’s Ushuaïa Ibiza venue throughout summer 2019, for another spectacular 18-week summer residency, starting on 1st June. ANTS has enjoyed a meteoric growth in stature since the inception of the brand in 2013 and will land in Vienna on Saturday 8th March. Tickets for what promises to be a truly unmissable night are available now!